The terminus of a short and little-used Piccadilly line link to "Holborn", formed when two planned pre-LU lines were merged prior to the construction. 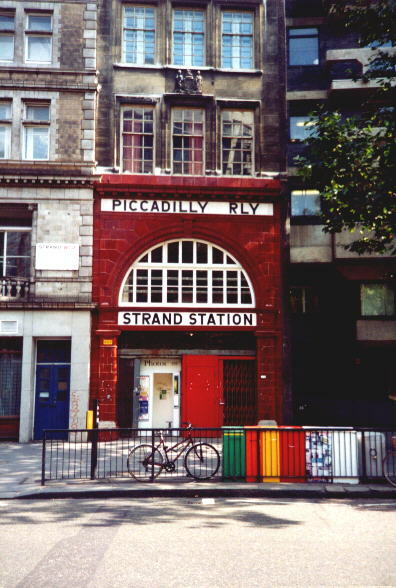 It was originally called "Strand," but this was changed quite early in its working life to avoid confusion with the nearby similarly-named Northern Line station (which was late amalgamated with the Bakerloo line "Trafalgar Square" station and the now defunct Jubilee lien terminus as the current "Charing Cross"). Initially served by two tunnels from "Holborn," customer demand was never high, so one line was closed quite early on, with the remaining track operating a shuttle service only from what was originally designated the Northbound platform. Station closed during WW2 and was used as a public air raid shelter, as well as housing exhibits (including the Elgin Marbles) from the British Museum in the disused tunnels. 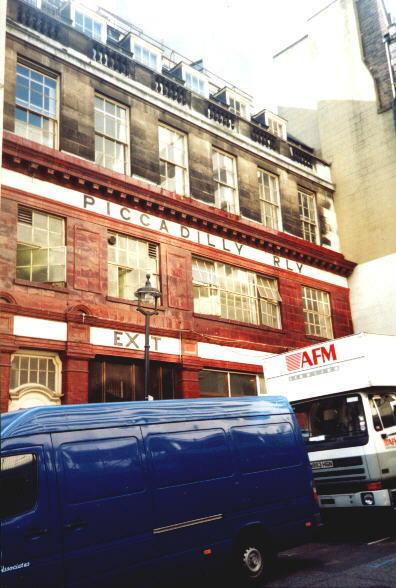 Since even before it finally closed in 1994 "Aldwych" was for many years only open for weekday rush-hour services, it was often used by film-makers needing an authentic Underground station location, including Battle of Britain (1966), Death-Line (1972), Superman IV (1986), The Krays (1989), and Patriot Games (1992). It continues to enjoy similar usage - as, coincidentally, it seemed to be on the day I visited in September 2000 - helped, no doubt, by the fact that since the removal of the "Aldwych" signage, the "unfamiliar" original "Strand" name is now clearly visible. 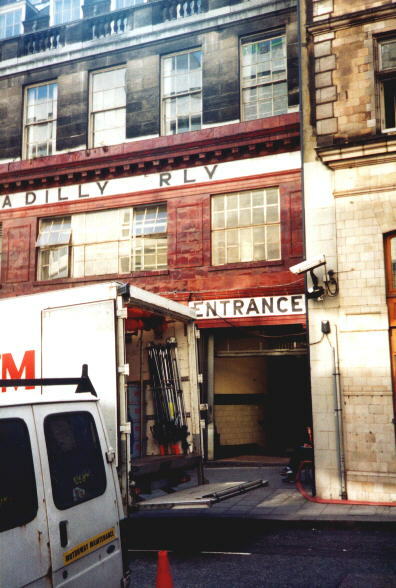 The video for The Prodigy's Firestarter track was shot in the disused running tunnels between the station and "Holborn." The L-shaped building is situated at the junction of The Strand and Surrey Street, with the large portion in the latter.